at 172 Madison Avenue, New York. The development was completed in 2017. 172 Madison has a total of 72 units. 172 Madison is just steps from Madison Square Park, the Flatiron District, Gramercy Park and NoMad, at the nexus of the city's choicest neighborhoods. Perfectly set along Madison Avenue, 172 Madison is surrounded by a collection of haute couture ateliers, luxury boutiques, fine dining, and renowned museums and cultural institutions that place Madison Avenue among the world’s most important addresses. 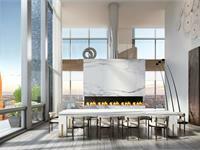 THE CITY’S MOST PRESTIGIOUS AVENUE JUST REACHED NEW HEIGHTS. Kitchens are about so much more than food. They are where stories of school and work get told, where confidences are shared, and if you ask nicely, where a long-guarded family recipe just might be told. The best of kitchens cater to the needs of the high end chef while still looking as if they just appeared in Architectural Digest. Our kitchens are up to the task, with the finest mosaics and finishes from the finest brands. Luce de Luna. Miele dishwashers. Stainless steel cooktops and ovens from Miele. Subzero wine storage. All of which helps make the kitchens as sleek as they are substantial. 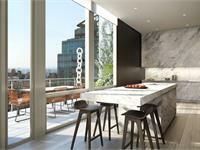 With a maximum of three residences per floor, and an ingenious design, every apartment has coveted corner views. With ceilings that start at nearly 11 feet tall, there’s more room to appreciate the view. The floors and accent wall use striking mosaic tile, evoking solid old world craftsmanship, while technology from Dorbracht allows family members to personalize shower settings for each use, and to fill the tub just so. The contrast between light and dark colors is at once soothing to the senses and striking to the eye. The third floor “Mansion” boasts 18 foot ceilings, nearly 3,000 square feet inside with an additional 3,000 square feet wrap around terrace featuring a one-of-a-kind private outdoor pool. 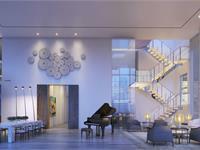 Your inquiry will be delivered to the 172 Madison sales team, who will send you more information about this development.